Brian is the founder of Inmates to Entrepreneurs, a national program that helps people with criminal records start their own small businesses. Inmates to Entrepreneurs is supported by the Brian Hamilton Foundation, which provides access to entrepreneurship to people who wouldn’t otherwise have it. Brian co-founded Sageworks, the country’s first fintech and largest provider of software to U.S. banks. He sold the company to a leading private equity firm in 2018. Hamilton holds multiple patents for his work in automating financial analysis. He is a regular guest on CNBC and Fox and is regularly quoted in and writes for all major national media publications. He is also a contributor to Inc. and Entrepreneur magazines. 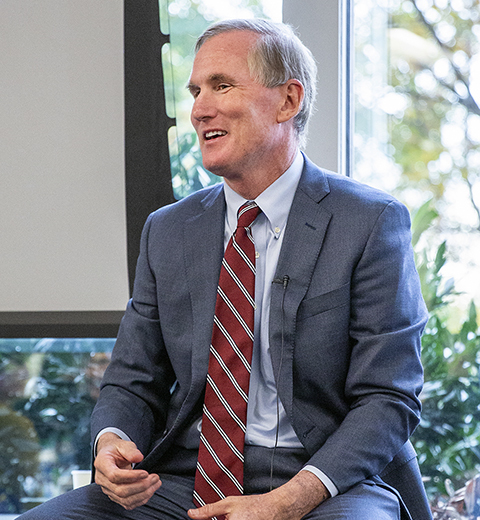 The first in his family to attend college, Brian holds an undergraduate degree from Sacred Heart University, where he served on the Board of Trustees, and an MBA from Duke University’s graduate school of business.